Your boiler is probably the single most important element in your home, especially around the winter months, so when it comes to maintaining your boiler or getting your boiler replaced, it’s essential to make sure that you get it right, as boilers account for about 55% of what home owners spend in a year on energy bills – so an efficient boiler makes a big difference! If you have mains gas, a gas boiler is usually the cheapest heating system, but if you don’t have a gas supply to your home, it might be worth looking into getting a gas connection. Most old gas and oil boilers are regular boilers which use a separate hot water cylinder to store hot water, rather than providing it directly from the boiler. Complete with comprehensive components and a 10 year warranty as standard, we highly recommend the Ideal Vogue combi boiler, which we supply and can also install for you too. We are Combi care specialists, and our services include the installation, service, repair and maintenance of combination boilers. If you don’t have a lot of space in your house for a large boiler, Combi boilers are compact and don’t require as much space. Your savings will depend on how old and inefficient your current boiler is, as well as the fuel that your boiler uses. 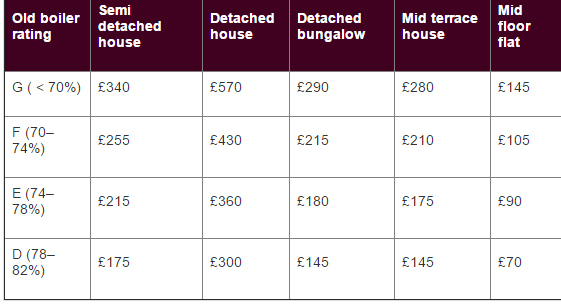 Below are some examples of the potential savings for a home heated by gas central heating. With our boiler upgrades (subject to survey) priced at just £1,995, and boiler servicing at only £85, our prices are hard to beat. 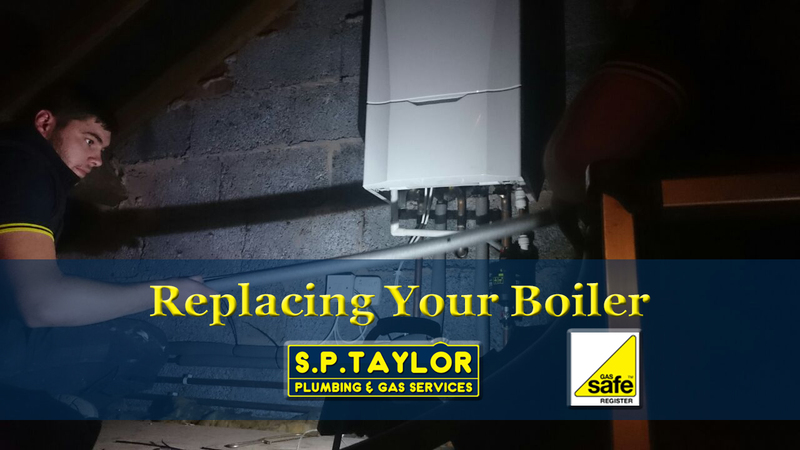 If you’re still unsure about upgrading your boiler, why not give us a call on 01922 474313 and we will be happy to provide you with a quote.